The Lady Eve's Reel Life: Lady Gaga for "La La Land"
The film’s stars, Ryan Gosling and Emma Stone, were soon introduced as two victims of this typical morning commute snarl on the interchange between the 110 and 105 freeways, he in his ‘80s Buick Riviera and she in her ‘00s Prius. As their stories began to unfold with unabashed Old Hollywood style and dazzle, my heart was stirred and I found myself becoming irretrievably enchanted. The story line is simple. 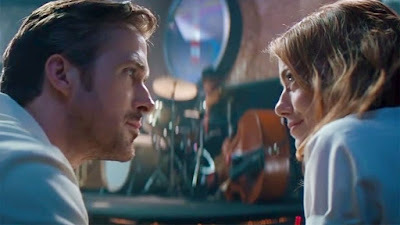 After a couple of far less than electrifying encounters (in a nod to the Astaire/Rogers prototype), a struggling jazz pianist (Gosling) and an aspiring actress (Stone) meet and a spark finally ignites between them. The two fall very much in love but each has a dream and passionate aspirations when it comes to their respective careers. And there’s the rub. 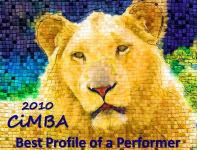 This is a theme that has been mined many times before, the clash between dueling passions – one’s love and one’s art. But what might otherwise have turned corny and trite, an exercise in tried, true and tired clichés, is entirely bewitching thanks to 31-year-old writer/director Damien Chazelle’s masterful genre-re-imagining vision, a heady swirl of Old Hollywood magic and 21st century Hollywood reality. 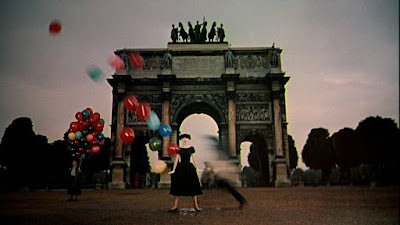 In CinemaScope. 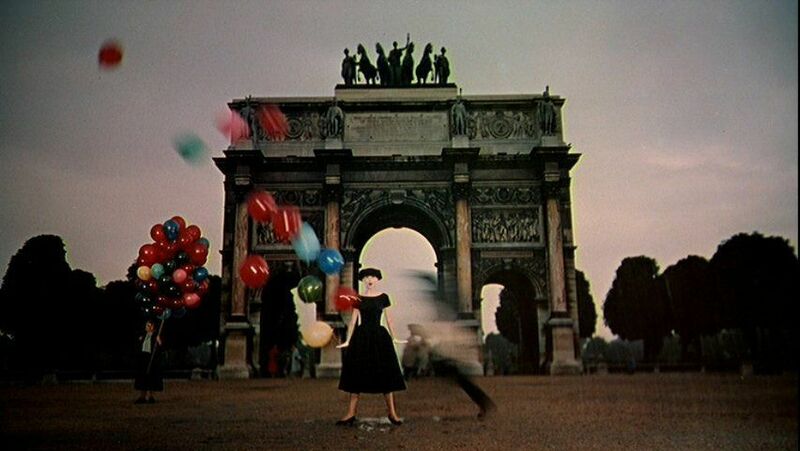 Accurately labeled a neo-Classical musical, La La Land on first viewing easily brings to mind Vincente Minnelli’s many Technicolor musicals of the ‘40s and ‘50s and, even more so, two pop era musicals of the mid-'60s by French writer/director Jacques Demy, The Umbrellas of Cherbourg (1964) and The Young Girls of Rochefort (1967). 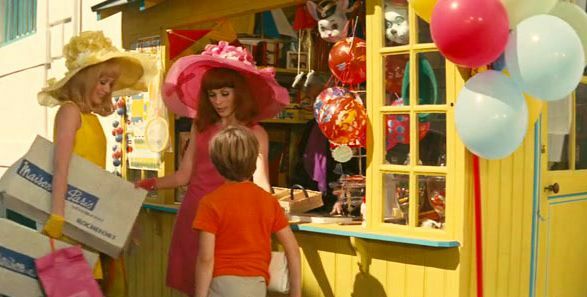 In fact, Chazelle insisted that his cinematographer on La La Land, Linus Sandgren (American Hustle), make himself familiar with the Demy films. 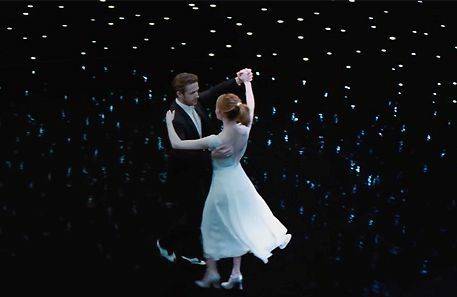 On a second viewing (just two days later at the same multiplex), I began to take more notice of the numberless allusions to scenes from classic films of several decades that are sprinkled everywhere throughout La La Land. 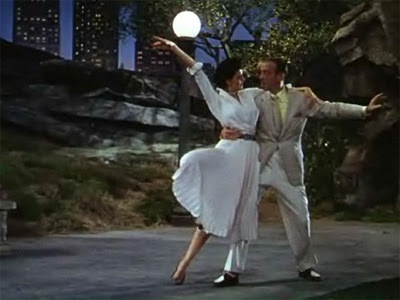 Tribute is also paid to Astaire/Rogers classics like Top Hat (Mark Sandrich/1935) and Swing Time (George Stevens/1936), Minnelli's An American in Paris (1950), Donen and Gene Kelly's Singin' in the Rain (1952), Albert Lamorisse's The Red Balloon (1956), the two Demy films, Bob Fosse's Sweet Charity (1969) and many others. 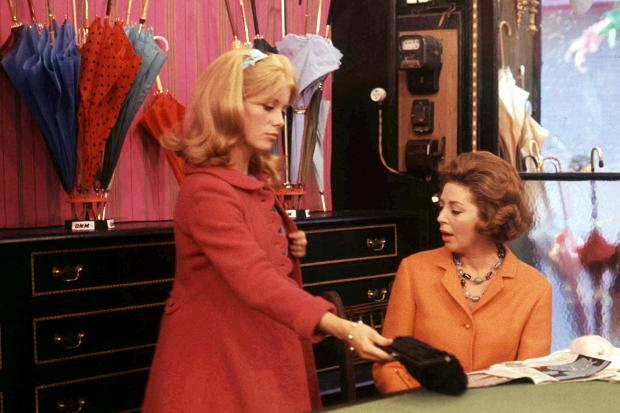 But homage is not reserved for musicals alone. Nick Ray's Rebel Without a Cause (1955) plays a significant role in bringing our couple, Seb and Mia, together. And one of that film's iconic locations, the Griffith Park Observatory, becomes a crucial setting in this rebellious pair's romance. According to La La Land's location manager, Robert Foulkes, the shot of Seb and Mia driving up to the observatory is the same as the shot used in Rebel. 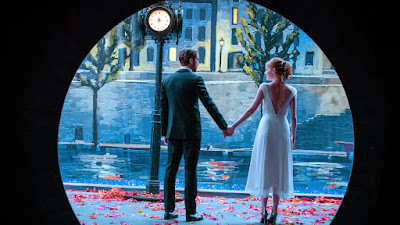 Unlike most musicals of old, La La Land doesn't have a perfect fairytale ending, although the last act pays a visit to the fairytale that might have been. Yet the film's wistful final moments do gently suggest a truer sort of Hollywood ending, where dreams may come true, but at a cost. Just got back from the theater where I saw "La La Land". This is a beautifully done crowd-pleaser of a movie with real intelligence and heart - it doesn't dumb things down. The ending, in particular, (along with other elements), brought to mind "The Umbrellas of Cherbourg". The film is nostalgic, but from a fresh perspective. Excellent write-up, eve. I agree on all counts, MCB. "La La Land" is a mass-appeal film with heart and soul. How rare is that, especially these days in Hollywood! I'm sure I will see this incredible film in a theater at least once more - and it is the film that is finally inspiring me to buy a Blu-Ray player. "La La Land" will look great in Blu-Ray, plus it will probably have some wonderful extra-features. You won't be sorry. 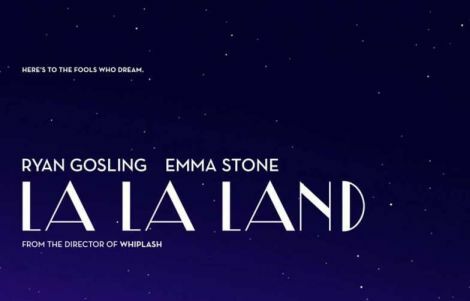 I was happy to see "La La Land" get 14 Oscar nominations, too. All deserved. La-La-Land is being shown in some cities in IMAX-you may want to see it again in that format. I live very near San Francisco and will check if it's screening in IMAX there. Thanks. I'm aware that there are minority opinions on "La La Land" and I respect that. However, I make no apologies for my admiration (and more than that) for what Damien Chazelle conceived and accomplished with the film. Great review and background info on this movie, Lady Eve, increasingly the favorite for an Oscar haul at the Academy Awards. 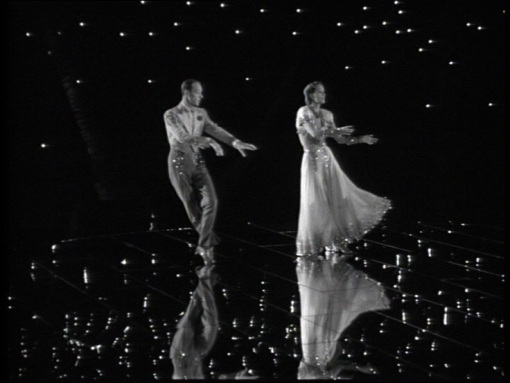 It was so well done, and fresh, even as it paid homage to the classic movie musicals. I'm glad that you liked it - enough to see it twice! Thanks, Christian. 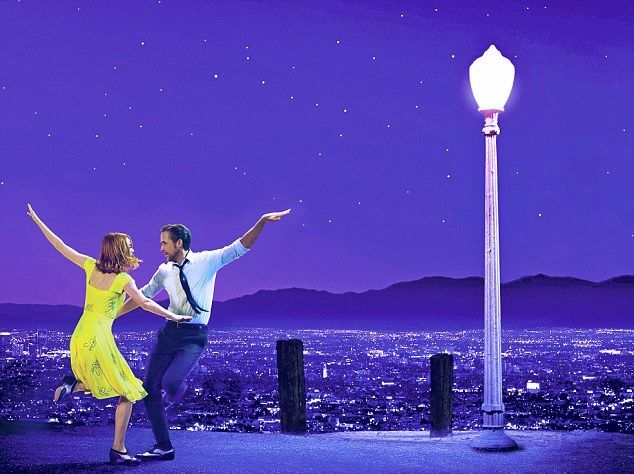 I'm hoping "La La Land" does well at the Oscars, it may not be a favorite of the critics (at least, not among the Film Comment, Sight & Sound crowd), but it is quite unique and incredibly well done. Also brave, I think, very much against the grain of current trends here and abroad. Identity politics makes its way into film criticism. Los Angeles Review of Books has something similar about "Manchester by the Sea". I can't take that sort of thing seriously.